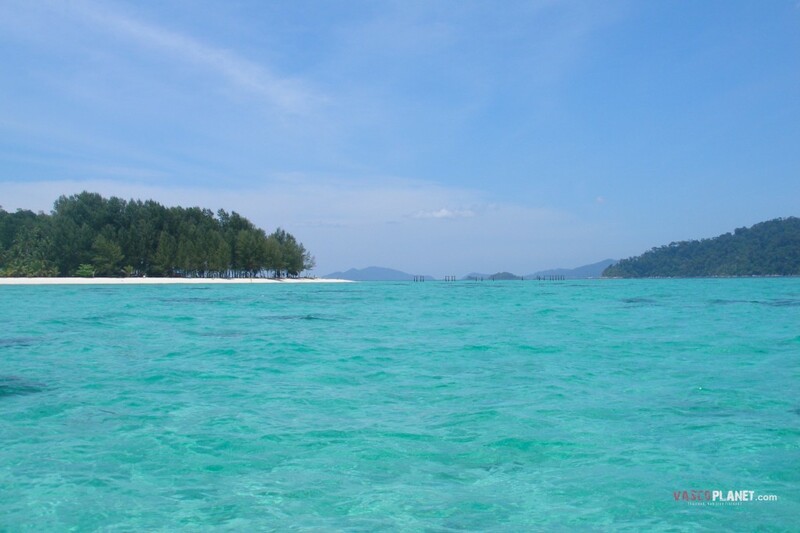 This is a photo of Koh Lipe I found on VascoPlanet.com because my camera along with all my other possessions got burned in a huge fire later in this trip, but that’s another story! I’m very grateful for this amazing website which provides so many beautiful photographs for free. My heaven on Earth. I remember having a very clear feeling while I was wading waste deep in the turquoise water of this tiny Thai island that this really was paradise. I swam parallel to the shore, long, smooth strokes, and thought about how amazing it would be to live somewhere that I could swim in warm clear tropical water whenever it took my fancy. To have my loved ones enjoy it with me. I felt blissfully blissfully happy at that moment and pretty happy on Koh Lipe in general. I can’t vouch for what it’s like now – if anyone’s been there lately please do tell me – but in 2012 it was a magical place, a little pocket of calm in the midst of Thailand’s mad tourist trail. Despite not being as developed as most of Thailand’s other gorgeous islands it managed to boast the largest selection of pancakes I have ever come across in my life. I’m vegan now (with occasional slip-ups) so I’m glad I went when I did! Honestly, I went in one cafe which had massive menu boards full of pancakes outside with various combinations of toppings, and when I sat down they gave me a menu with pages and pages more. The even more bonkers bit was that the day before I’d been in Malaysia talking to a friend about what we wanted to manifest in our lives. She was talking about wanting more clients for her business but I was more in the relaxed holiday frame of mind and all I could really think of that would make me happier was ‘loads of pancakes’! I hadn’t even bought my ticket to Koh Lipe then and had no idea about the abundance of pancakes there, but clearly my subconscious knew exactly what it was doing! I appear to have gone off at a bit of a pancake tangent there, let me get back to the point of my story. The kinds of perfect moments I described where I was immersed in the soothing aqua-marine water are what inspire me to pour my heart into my work. I create jewellery to reflect this magic and celebrate the beauty in life. I aim to share as much of this peace, love and wonder as possible and I look forward to sharing in your inspiration too. This entry was posted in Inspiration, Travel and tagged beach, happiness, heaven, island, paradise, perfect moment, Southeast Asia, Thailand, travel, tropical, wanderlust on October 10, 2014 by tessheaven. Feeling stuck writing this and that is perfect. Because that is exactly what this blog is for. I am breaking through my ‘stuck’ ness by doing what I always do and getting inspired, but this time I am going to document my inspiration so that it doesn’t slip away from me so quickly; then I can share it with you too and we can get inspired together! Provided you are inspired by stunning scenery, stories of travel and adventure and embracing freedom to explore the diversity of life on this beautiful crazy planet; along with the equally important inner journey from fear and doubt to self-confidence and joy. Obviously it’s exciting and enjoyable to look at pictures of exotic places we’ve not yet visited, things we REALLY want to buy/make, and learn about people that are doing amazing things that we aspire to do; but I also believe that in conjunction with appropriate action they can be really useful activities too. I almost always feel like I have more energy to take action towards my goals when I am feeling inspired. Sometimes I feel as if there just isn’t a way forward, then in a matter of minutes I will find a solution to whatever the problem was, and all it took was a bit of inspiration. When I remember WHY I do what I do and I experience the feeling of being inspired, suddenly tasks that seemed arduous and boring become almost enjoyable, and I feel like I can do things I previously believed I couldn’t. I become more efficient, focussed and committed to the path I have chosen. So join me in my search for inspiration, and let it propel us towards our destination! This entry was posted in Inspiration and tagged adventure, doubt, fear, freedom, goals, inspiration, joy, motivation, self confidence on October 5, 2014 by tessheaven.